From GRAVITYMASTER, the tough watch designed for the severe environments faced by pilots, come new GWR-B1000 Series models with Carbon Core Guard structures. 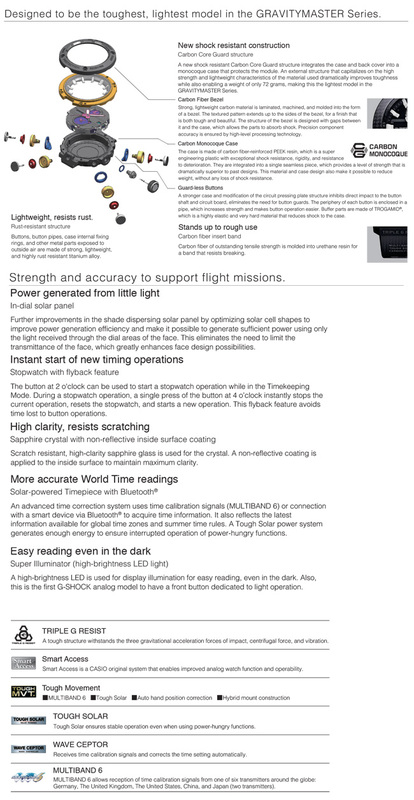 The case and back cover are integrated into a carbon monocoque configuration, and the carbon face incorporates CASIO original solar technology that maximizes power generation using the light that enters through the digital dial surfaces. 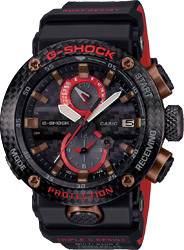 G-SHOCK red brand coloring is embedded in the carbon bezel layers and around the dials. 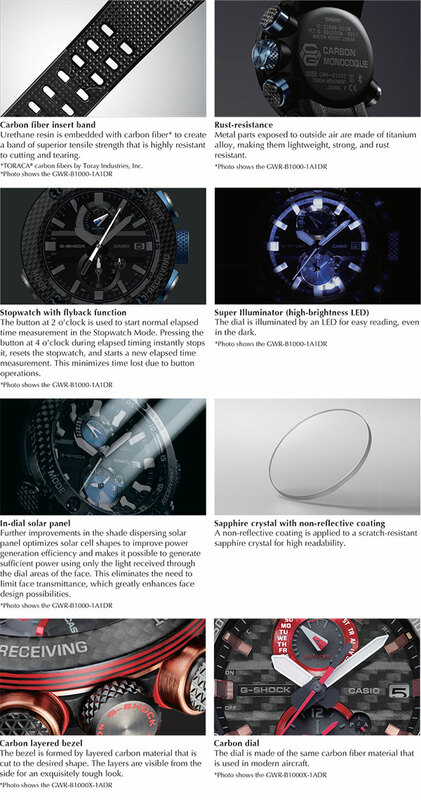 All of this adds up to a new G-SHOCK design that is tougher and more stylish than ever. The base model is the GWR-B1000 whose generous use of titanium and other highfunction materials creates a timepiece of outstanding toughness, light weight, and rust resistance. Automatic time adjustment is performed using either Bluetooth® or a time signal, which helps to ensure accurate timekeeping while flying on a mission.